Grace and peace to you. I want to offer a personal invitation to you to attend a life-changing, inspiring workshop. The passage of 10-A last year was historic and huge. Now the work of moving policy into practice, making "10-A" real all across our Church in 11,000 Presbyterian congregations is our sacred responsibility and mission. 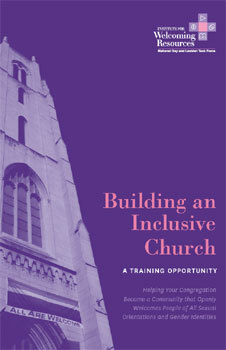 I have attended and taught several of these Building an Inclusive Church training events. I am fortunate to be one of the trainers for this April 12-14 event in New Brunswick, NJ. While the context of the training is about helping a local congregation become more welcoming to LGBT persons and their families, the insights and skills learned in these training events apply to all areas of mission and social justice. This is a great opportunity to get a group together from your church, presbytery, campus ministry or seminary community to travel and attend together. Road trip! The training has been designed specifically with congregations, lay leaders and pastors in mind. We will explore topics which will help you to become a more effective leader in working with congregations on issues related to human sexuality and gender identity for the purpose of helping a congregation discern God's call to become more welcoming and affirming, particularly of LGBT persons and their families. Dealing with conversations around biblical material, sexuality, gender identity, etc. 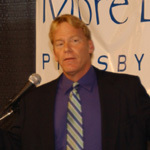 I wholeheartedly commend this training to you in New Brunswick, NJ, April 12-14, 2012.